There were some concerns following TPG’s takeover of iiNet that customers would be potentially worse off, or that the same great customer service would be lost. However, much of that remains unfounded. iiNet still offers a strong range of internet plans that have many Australians hooked. The question is: Could you find better value elsewhere? We’ll aim to answer that in this review. iiNet has a large range of over 10 broadband plans, including ADSL2+, naked DSL and NBN plans all starting at $59.99 a month. Unlike some other internet providers which charge you at higher rates if you exceed your limit, iiNet throttles your data and speeds so you don’t overspend. iiNet’s fibre NBN coverage is largely subject to the rollout as a whole. 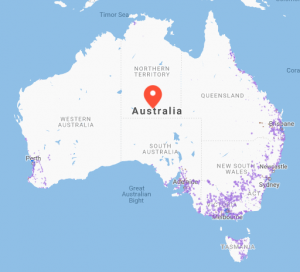 When finished it will cover 93% of the population with the remaining 7% put on either a fixed wireless or satellite connection. Right now, most capital cities and major regional hubs are covered by the fibre network, with more connections being completed everyday. iiNet is a full service internet provider, meaning it offers more than just broadband. Entertainment: Fetch TV is included at no extra charge on 24 month plans. Call Packs: Many unlimited plans have calls to local & national lines at no extra charge. Modems: A ‘TG789’ Wi-Fi modem is included on 24 month plans with an option to upgrade. While there’s a fairly concise array of plans at face-value, you can customise these to suit your needs, through modems, entertainment, call packs and more. If you’re just needing an internet connection for the basics, or maybe you’re in a small household, iiNet basic NBN may be for you. You’ve got max speeds of 12Mbps, with unlimited data for about $70 a month. If you need a boost, iiNet skips the 25 speed tier and goes straight to NBN 50 – Standard Plus. iiNet boasts an evening speed of 46Mbps here, which is pretty tough to beat. iiNet dishes up Premium NBN for just under $100 a month. Over 24 month plans you can expect the modem to be included, Fetch to be included and more. Fixed wireless is basically a connection to a wireless internet exchange, which then connects to satellite services. It’s explained further in this article. The benefit with iiNet’s fixed wireless plans is that they are generally not any more expensive than prices for fixed line NBN. This means that customers can enjoy 500GB from $59.99 a month. Speed tier jumps are also generally the same price. So really, the method of your NBN delivery is different, but prices and the end result mostly are not. However, speeds generally max out at NBN 50, with NBN Co nixing plans for 100Mbps speeds on the fixed wireless network. If you’re out in the sticks and connected to the NBN, SkyMuster satellite is probably what you’re connected to. Prices for this service are generally higher than that of fixed line or fixed wireless connections for the equivalent amount of data. Prices with iiNet start at about $40, for which customers receive a modest amount of data, split by peak and off-peak data. Speed boosts start at $5 extra per month, while anything more substantial quickly costs over $90 a month. Still, there are no unlimited plans no matter how much you’re willing to spend, and speeds max out at 25Mbps. iiNet has a comprehensive online portal where you can monitor usage, check network status, change your account details and more. Technical support is open 24/7, with sales open from 8am to 11pm on weekdays and 8.30am to 8pm on weekends. Customers can also contact iiNet via most social media platforms. Hearing impaired customers can also call special hotlines. How does iiNet internet compare to other providers? Telstra and Foxtel get access to Foxtel Now and traditional Foxtel, while the others rely on Fetch TV to deliver streaming delight. All offer some form of unlimited data, with varying contract lengths. As always it pays to look at more than just the monthly price; setup fees, modem charges and other upfront costs can all add up. iiNet remains an excellent choice for home broadband. Its large range of plans and supported internet technologies means that wherever you are and whatever your budget, iiNet likely has a plan for you at a competitive price – often beating out the big guys like Telstra and Optus. However, more on the radar is a range of small providers offering lots of data for cheap prices. These smaller providers frequently beat out iiNet in terms of price, but iiNet’s generally reliable service and wide-ranging network with satisfied customers still makes it a safe bet. If you are after the most ‘bargain basement’ plans on any type of connection, iiNet may not be the provider for you. While iiNet plans are generally not expensive by any means, there are other providers out there undercutting the big guys by quite a margin. However, you may also find that you get what you pay for and you may find value in paying more. In any case and no matter your budget, iiNet is worth keeping an eye out for. What do customers think about iiNet NBN plans?